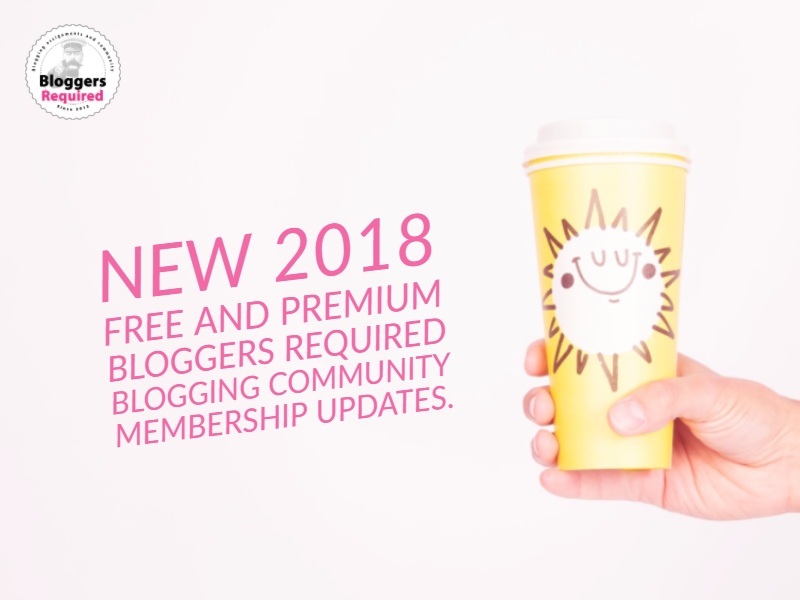 New 2018 free and premium Bloggers Required blogging community membership updates. Home New 2018 free and premium Bloggers Required blogging community membership updates. Over the last few weeks, we’ve significantly updated both our Bloggers Required blogging “free and “premium” community membership options. Here’s a rundown of the new additions. You can see all the existing free and premium membership perks here. NEW. Submit a blogging Q&A. We’ve created a blogging Q&A for our blogging members to fill in, so our wider audience can get to know our blogging members better! We will publish the Q&As on our blog and via our social channels. Premium member profiles are added to our list of featured bloggers. They are visible in the blog’s sidebar and on a dedicated featured bloggers page. They are showcased via each member’s profile icon, linking back to that member’s community profile, so others can find out more about them. Submit the giveaways/competitions you are hosting on your blog and we will promote all your competitions and giveaways via our social channels, newsletter and community. We’d like to get to know our premium blogging members even better! Premium members can add there daily blogging and vlogging rituals and we will post them via our blog and on social media. If you are already a community member you can become a “Premium” member by going to the member levels navigation, once you are signed in. We hope you enjoy these new updates as well as the existing perks.